The Inaugural Basketball Spotlight Future Phenom Camp opened this weekend at the New 24 Facility in District Heights, MD. This event had loads of talent especially in the Class Of 2019. First we will take a look at the usual suspects that are been to Basketball Spotlight events in the past. Tariq Ingraham Forward (Delaware)- This past weekend Ingraham was a total beast on the blocks. He played against help defense, double teams and triple teams. Once he received the rock deep he exploded to the hole like he was expected. His moves are quicker and he’s making them with supreme confidence. He also will shoot the short jumper at the drop of a dime. He helped his team take home the camp championship. 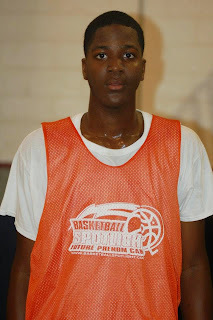 Justin Moore Guard (Maryland)- Moore has developed a national name, therefore he had a target on his back at this event. The best opposing player guarded Moore and vice versa but the Maryland native answered the bell. The physical guard broke through the defense and finished with finesse. He has the enact ability of making the correct play even if it sacrifices his own scoring chances. Whatever play he decides to make doesn’t change that his presence alone impacts the game. Mahki Mitchell Forward (Maryland)- The forward has taken his wing game to another level. He showed he could score it from all three levels and even create for his teammates. He made lunch meat of many defenders that tried to check him. But you can’t blame them because who can really contain a 6’6 forward with pure wing skills. He’s a match up nightmare. As a lad many onlookers frowned about him wandering on the perimeter instead of staying in the post but I guess Mitchell knew better because his curiosity is paying off. 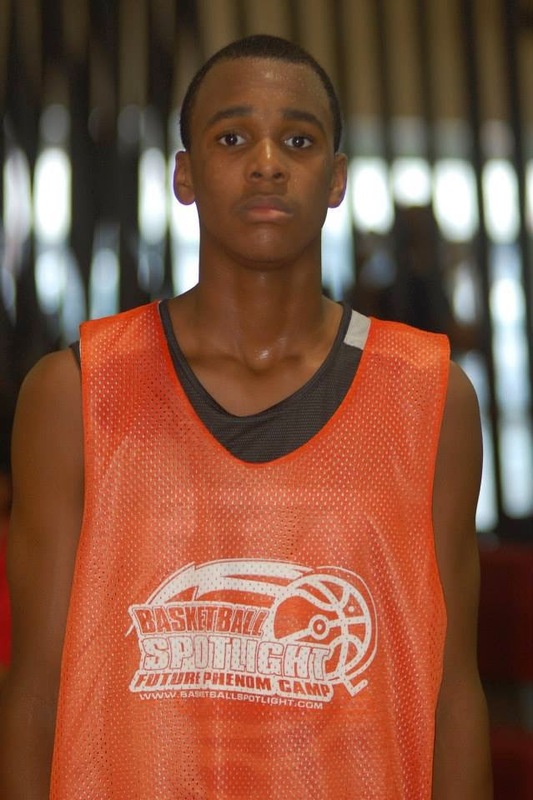 Dontae Scott Forward (Pennsylvania)- This baby giraffe continues to grow and impress us with his play. He’s becoming more mindful of taking care of the rock with attacking but still isn’t afraid to catch and shoot immediately from 3 point land. 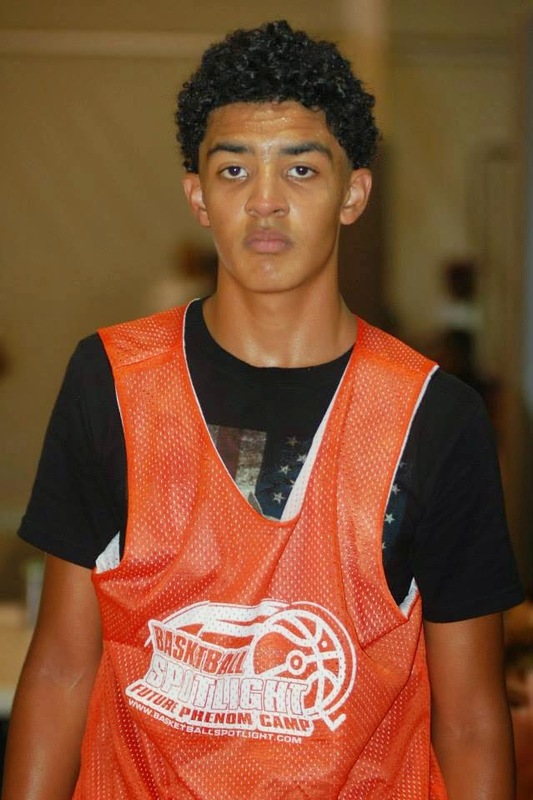 He beginning to play above the rim on a regular basis and has shown more toughness playing post defense. Every high school coach in attendance had to write his name down in their notepad. If you look a prospect up in the Webster Dictionary you might find a picture of Scott. Anthony Johnson Guard (Pennsylvania)- AJ Johnson came to the Future Phenom Camp on a mission and delivered. He’s a natural big guard but didn’t mind crashing the glass like a big forward. His strength and body control are his biggest attributes. Even when he missed chippies under the basket he reacted quickly and attempted put backs until it fell. He left the camp early with an ankle injury but still finished as one of the top players in the event. Christian Depollar Forward (Maryland)- Depollar is now sporting a new look. He trimmed the baby fat and now stands a lean and mean 6’4. This new look has taken his game to another level. He gets it done from all three levels and finishes strong in traffic. We said two years ago that this time would come and now it has arrived for Depollar. He was one of the most consistent players at this event over the weekend. Marvin Price Forward (Maryland)- Price is no stranger to Basketball Spotlight as he showed dominance on our circuit with Teaqm Melo. At the Future Phenom Camp his play was also stellar. He got busy on the post on both ends of the floor by rebounding and scoring the rock. He's a physical specimen that's showing strides of moving to the perimeter. He made a huge plunge by reclassifying into the Class of 2019.